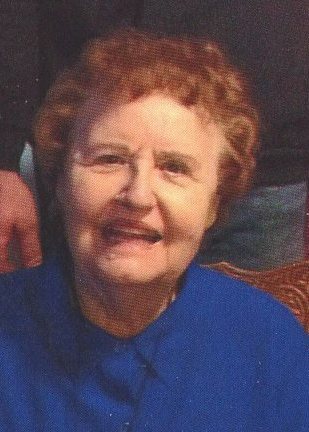 Shirley Marie Burrous, 82, of South Haven, went to her new Home, October 29, 2018 to be with her husband Don. She was born December 22, 1935 to Gordon and Gertrude (Lamp) Butler in South Haven. She married Donald Burrous in October 12, 1952. They shared 65 years of marriage before his passing in 2017. Her children and grandchildren hope to see her again in the future when they will have her famous potato salad, pies, cinnamon rolls and whatever else she’ll surprise them with. They will have a huge family reunion. What a life she has lived by touching so many that she loved. There is a hole in our heart that only she can fill. She is preceded in death along with her husband by her sister – Lillian Hall. Shirley is survived by her children – Don (Kathy) Burrous of South Haven and Bonnie (Randy) Schultz of Watervliet, brother – Roger (Susan) Butler of South Haven, four grandchildren and eight great grandchildren. Visitation will be held from 10:30 AM to 11:00 AM on Saturday, November 3, 2018 at the Filbrandt Family Funeral Home in South Haven. Memorial services will follow visitation at the funeral home with Pastor Douglas Clayton officiating. In lieu of flowers, contributions may be made in Shirley’s memory to Caring Circle Hospice at Home, 05055 Blue Star Highway, South Haven, Michigan 49090.